Riverina farmer, Lachlan Danckert, Deniliquin, NSW, had an excellent first year of cotton and intends to expand the area in the future. 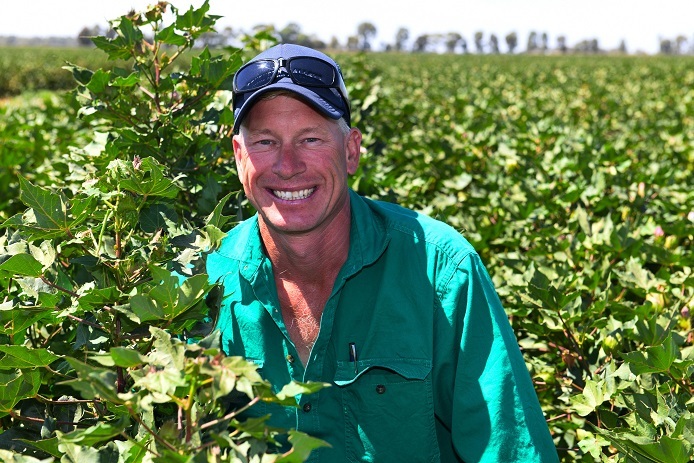 GROUNDWORK in the lead-up to last summer and good prices have made cotton a viable option for Lachlan Danckert on his farm at Deniliquin in southern New South Wales. Mr Danckert first grew cotton last season on a recently bought block that had previously grown rice. “When I purchased this property, it was the intention to set it up for cotton. The framework was here so we’ve effectively changed a rice farm to a cotton farm,” he said. Having previously worked in other areas in the Riverina such as Coleambally, Mr Danckert found the technological improvements in the industry to be a major driver for moving into cotton. “From what I hear and what I’ve read about, the change has been phenomenal,” he said. Mr Danckert said he used between nine and 10 megalitres of irrigation water per hectare last season and was able to draw water out of the recycling ponds three times during the irrigation process. The prices on offer for cotton and the ability to forward-sell have also been a major driver in switching to the crop. “There are some fantastic opportunities with the prices. I’m really keen to expand in the next couple of years. At the moment I am planning on growing from 100 hectares to 200 or 300 hectares next season,” he said. Picking the crop was also initially a concern but a number of contractors from further north were available to harvest the southern crop. “With the expansion in the size of the crop this year it is going to be full on,” Mr Danckert said. Mr Danckert runs an earthworks business, so was intent on preparing the irrigation system for efficient watering. The months leading up to planting were spent re-shaping channels and changing the grade of the field from a flat to a roof-top. “I think anyone doing any type of irrigation cropping really needs to understand that you can work pretty hard to get water on but it’s also about designing the system to enable water to get away quickly too,” he said. Mr Danckert said that improving the irrigation system to benefit cotton provided him with the confidence to plant the crop leading into summer.